Since retiring from vehicle manufacture in Australia, Holden has been battling relevance in the marketplace. However, while the genuine born-and-bred Aussie car may have become a thing of the past, that could be about to change with the arrival of the Acadia. Okay, so the Holden seven-seat sports utility vehicle may be assembled in the United States but it’s a fair dinkum product made solely for Down Under by Holden engineers and designers. 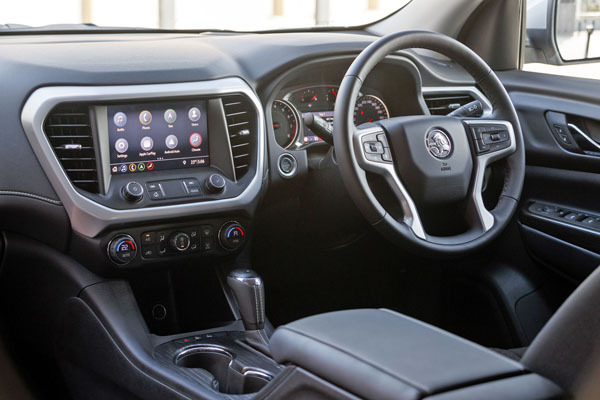 Holden chairman and managing director Dave Buttner says there is still a latent passion for Holden product, with the aim of the Acadia to make a confident statement to counter any doubts about the future. 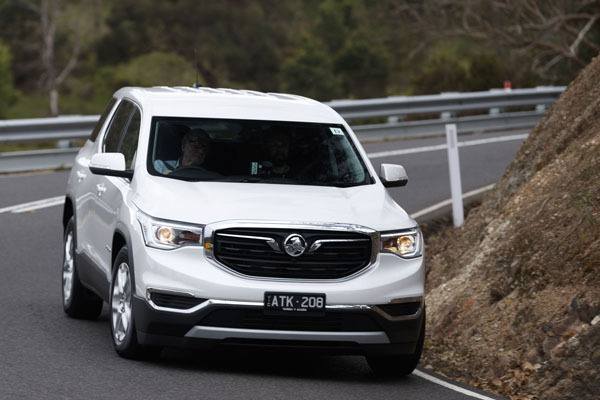 “Riding in the Holden Acadia offers a premium experience, with the luxury of space, combined with versatile interior configurations, the latest technology, a full suite of safety features and local tuning for our roads,” he says. The highly specified Acadia comes with the latest in automotive technology and safety features in three variants – LT, LTZ and LTZ-V – in two or all-wheel drive, powered by a 3.6-litre direct injection V6 engine producing 231 kW of power and 367 Nm of torque, mated with a nine-speed automatic transmission. Fuel economy is paramount with stop / start engine technology on tap and the ability to run on four cylinders under light loads. 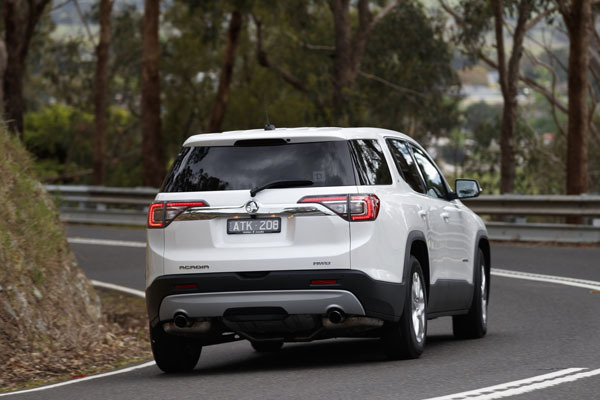 Holden claims on the combined city / urban program, the 2WD gets through 8.9 litres per 100 kilometres, while the AWD uses 9.3 litres per 100 kilometres. Driver Mode Control allows drivers to switch between driving programs from economy to sport, via a knob on the centre console. This also gives access to ‘Tow Haul’ when using a trailer. Prices start at $43,490, plus on road costs, for the LT 2WD, and top out at $67,490 for the LTZ-V AWD. At launch, driveaway prices run from $42,990 to $67,990 respectively. Early adopters will feel right at home in the Acadia, with active safety features across the range now offering autonomous emergency braking with bicycle, as well as pedestrian, detection and lateral impact avoidance as part of lane keep assist with lane departure warning. Traffic sign recognition includes a mode that if the driver misses a change-of-speed sign, TSR will remind them. To develop this Holden engineers covered tens of thousands of kilometres in testing, made more important by the fact that sign designs differ from state to state. There’s hitch guidance with hitch view for hooking up a trailer, while the Acadia is the first General Motors vehicle to incorporate the ‘Tow Haul’ mode, which changes gear patterns while towing anything up to 2000 kg. There’s entertainment to keep the lid on kids’ boredom levels with an 8-inch touch screen with Apple CarPlay and Android Auto, plus USB ports – 2.1 amp fast charge versions – in all three rows. Satellite navigation is included across the range. At close to five metres long, the Acadia is a genuine seven-seater with ample leg room in all three rows of seats, plus room in the back to take 292 litres of luggage. The latter can be expanded to 2102 litres with rows two and three folded flat. The second row slides forward to allow fairly easy entry to the back seats, which will take two adults in reasonable comfort. Storage includes a console for second-row occupants and a covered underfloor bin, keeping things out of sight. There’s even a rear-seat passenger reminder to alert to any ‘cargo’ such as sleeping kids, pets or valuables on leaving the vehicle. On the outside, the Acadia out-muscles what Holden considers to be its main rivals, the Mazda CX-9 and Toyota Kluger, with a bold radiator grille with a focus on the big Holden badge, flanked by headlamps and daytime running lights. The LT rolls on 18-inch alloy wheels. LTZ adds front fog lamps, chrome door handles, and a hands-free power tailgate, while LTZ-V moves up to 20-inch alloys, HID headlamps and dual panel sunroof. It’s highly unlikely the Acadia will be called upon to take on any serious off-roading but, for the record, ground clearance is 189 mm with 18-inch wheels and 203 mm with 20s. Even in LT spec the Acadia showed plenty of sophistication on a launch drive in Melbourne and the Yarra Valley. Forward collision alert with head-up display was in constant operation during the run, surprisingly highlighting just how many speed zones there can be on the simplest stretch of road. Driver Mode Control was hardly called on: not much snow or soft sand in this part of the world at this time of year. Active safety features dialed up added confidence in speedy going on winding country roads, although the LT suspension sought out even minor bitumen bumps and pot holes. The LTZ-V with Flexride adaptive suspension dismissed minor road surface blemishes, producing a smooth ride and assured handling with excellent feedback through the steering wheel and little body roll to trouble occupants. Braking across the board dealt well with the close-to-2 tonne boulevard bruiser. In all variants, the engine performed in a responsive and quiet manner, enabling driver and passengers to engage in a normal level of conversation. Leather trim in LTZ up, and Bose premium audio in the LTZ-V only added to the prestigious ambience. A full windscreen head-up display would have been a welcome addition across the range. With the recent rise and rise of the SUV, Holden even sees the Acadia LTZ-V, with its limo-like character, as the new Caprice. Here the company has pulled out all stops to satisfy the Aussie passion for home-grown product. Now it’s up to buyers to prove it. Note: These prices do not include government or dealer delivery charges. Contact your local Holden dealer for drive-away prices.